Zero to 1k Club Review: Mohamed Camara Shopify Course Legit? 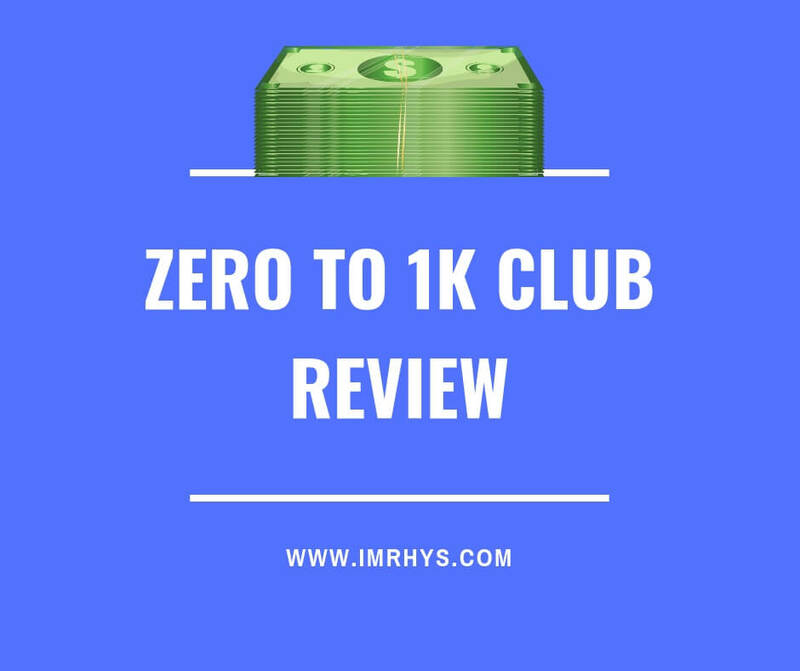 Are you looking for a review on Mohamed Camara and his latest course, Zero to 1k Club Review? If so you’re in the right place as we disect the content, see what the course contains and ultimately whether it’s worth $1,997. May also be referred to as, Zero to $1,000/day Shopify Dropshipping Masterclass. The first disappointing thing is the price of the course given the hundreds of other eCommerce courses out there that cost a lot less than $1,997. Usually courses that cost more actually offer less value than cheap courses. Mohamed Camara claims to have made over 1 million dollars in sales and 300k profit and is fully equipped to guide you through your drop shipping experience. 300k isn’t actually that much to call yourself a guru, but as he claims he’s not here to sell you on his success, but rather help you to launch your own online store. He claims he can use the GPAAC method to turn any product into a winner and scale to over five figures per month within 30 days. Personally I think it’s a load of nonsense that you can turn any product into a winner but it makes it easier to sell a course. The last confusing thing is the use of the hash tag, #themoneyteam which he’s using to call his members club. If I’m not mistaken that’s a trademark by Floyd Money Mayweather. Might want to rethink that idea. The course is fairly short, videos aren’t too long but it does offer all the basics you’d need from an eCommerce drop shipping course. It’s currently available on Teachables, priced at $1,997 or 6 x $397 payments. Teachable videos can’t be downloaded bu are available in high quality and look good on both mobile and desktop. Without going into the detail of every module and video, the course is a clear and concise overview on product research, creating a store, setup and then it’s a straight forward Facebook Ads course on how to take that product and turn it into a winner. The key module for me was number 9, targeting like a pro and how to find new interest audiences to target. It’s a fairly basic overview on Facebook Ads. Given the huge price tag, $1,997 I’m astonished that there is no other marketing methods mentioned such as Google Ads, Instagram or even another social media platform such as Snapchat. If you compare this course to other drop shipping eCommerce courses such as eCom Elites ($197-$297) that offer five times the content at a much lower price and look at half a dozen promotional methods including Google Ads, Snapchat, Pinterest, Instagram, Instagram Influencers you’ll notice just how short zero to 1k club really is. Would I buy this course at $1,997? No. I’d buy eCom Elites and actually spend the $1700 I just saved on running my first Facebook Ad campaign and then look at Google Ads as well. To get a refund you must request within 7 days and less than 30% of course watched.